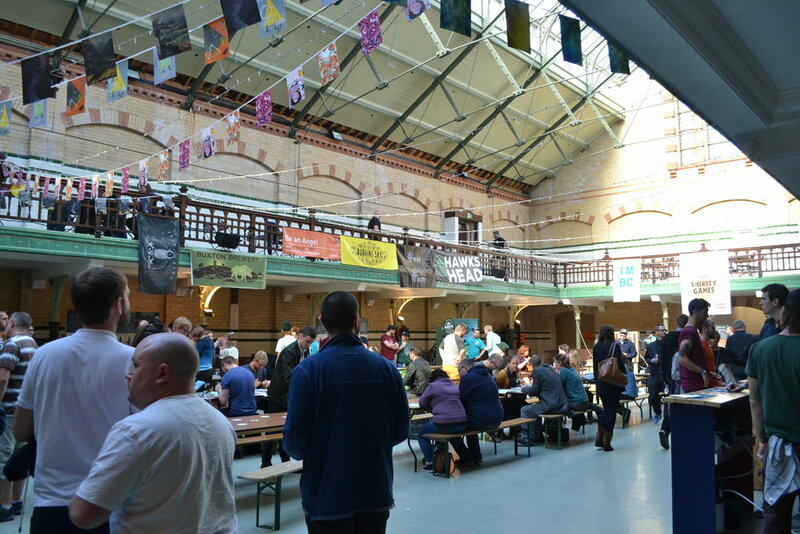 I told myself I wasn’t going to write about The Independent Manchester Beer Convention, or Indy Man as it is better known. “Everyone will have been”, “it will just annoy people who weren’t able to go”, “what can you say that nobody else hasn’t already said before?” were just some of the things to have crossed my mind as I stood on a laughably overcrowded train from London to Manchester on Friday night. Yet upon my return to the capital on Sunday, exhausted, skint and very hungover, I felt compelled to write about what was without a shadow of a doubt one of the best experiences on my journey of beer discovery that started almost three years ago with a boozy family trip to Belgium. It’s not difficult to put a finger on exactly what it is that makes Indy Man such a special occasion and why it is one of the first dates in any beer geek’s calendar. 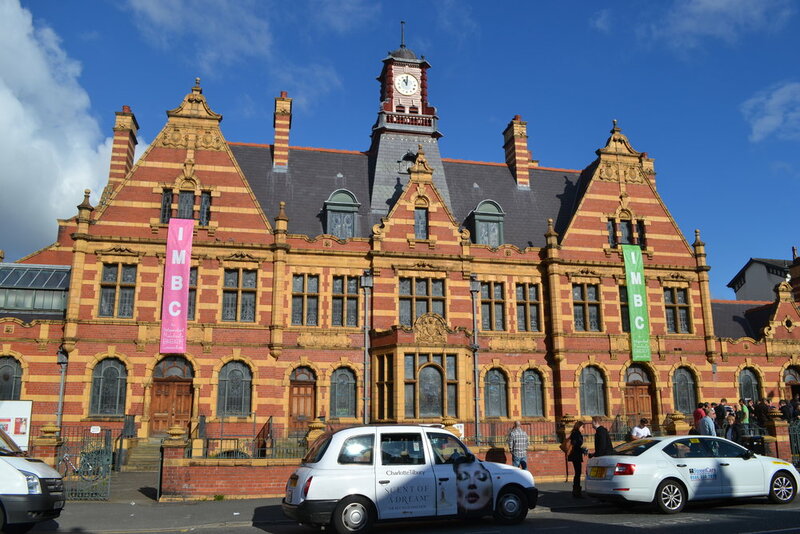 A huge celebration of some of the worlds best breweries in an iconic Victorian baths on the outskirts of one of the UK’s most cultural cities is always going to prove popular. Nonetheless, I was taken aback to miss out on tickets in June after forgetting they had gone on sale. Luckily, Twitter came to the rescue and I was able to secure a ticket to the Saturday day session a fortnight or so before the festival. And boy am I glad I did. Arriving at the baths around half an hour before doors opened with a slight headache from drinking Buxton’s 12 per cent imperial stout, Yellow Belly Sundae, on cask in Port Street Beer House the night before, I was shocked by the sizable queue already forming on the street outside. To any passersby, the scene must have been something of a mystery. The staff manning the queue were excellent, handing out wristbands and selling beer tokens to the punters whilst we waited for the doors to open, and in no time at all I was collecting my beautiful stemmed third-pint glass and stepping into the old bath house. Even though I was desperate to start sampling some of the hundreds of beers on offer, it was impossible not to take a moment to be impressed by the venue. Victoria Baths really are a fitting location to drink some of the best beers in the world, and my (fairly average) photos don’t do them justice. However, I was in no mood to stop and stare for too long and made a beeline straight for local Mancunian sensations Cloudwater. Having been assured by brewery owner Paul in no uncertain terms that their latest Double IPA would be pouring all day, I settled for a third of their 3.5 per cent Berliner Weisse and soak up the surroundings waiting for my tardy companions to arrive. I don’t intend to make this post a blow-by-blow account of my descent into a drunken stupor, but there are a few beers and breweries that particularly stood out. Leeds powerhouse Northern Monk continue to astound me with the quality and consistency of their output, and Saturday was no exception in this regard. Their supercharged Double Heathen is a bitter, murky and beautiful explosion of flavour, whilst their collaboration with coffee roasters North Star – Patrons Project 1.03 if memory (and Untappdd) serves me correctly – is like delicious silky liquid chocolate orange. Cloudwater, unsurprisingly, are at the very top of their game, and DIPA v8 is as good as anything of theirs or indeed anyone else’s that I have drunk in my life. Wild Beer Co. are also on impressive form, showcasing their 2016 edition of Schnoodlepip, much to my delight. However, the beer of the festival for me, having admittedly only tried a tiny proportion of what was on offer over the four days, is Siren’s Indy Man collaboration, Vimto Belgian IPA. Weighing in at a hefty 8.5 per cent, it is a wickedly sweet and dangerously drinkable IPA that was so enjoyable I simply had to take some home with me. Luckily, thanks to the folks as WeCan, who enable drinkers to take any beer from the festival home with them in can form, I was able to do just that. Unfortunately, having since tasted the can this is not something I can recommend. The beer was sickly, slightly sour and quite clearly infected. Alas, this is just a minor quibble I felt the need to share, and doesn't detract from what was still a fantastic festival. Of course, this is just the tip of the iceberg in terms of the sheer quantity and variety of beer on offer at the festival. With a couple of notable exceptions, Cloudwater’s DIPA v8 being one of them, most people will have tried completely different beers to those I sampled in the short five hour session I attended. It would be physically impossible and highly unrecommended to even attempt to try more than about a dozen or so of the beers available, and this is why the new token system was an excellent fit for the occasion. I had my reservations when it was announced that every beer would be priced the same amount at the festival, regardless of style of ABV. Paying the equivalent of £2.27 for a third of a pint of pale ale is never going to feel like good value for money, whatever way you try and spin it. However, what the token system does enable drinkers to do is to explore the beers on offer at their own pace, and drink the styles of beer that they want to drink, rather than base their decisions on price and regret missing out on something exceptional. I had a lot of very strong beer over the course of the afternoon, but I also left knowing that I had drunk exactly what I had wanted to drink most, and had made the very most out of my time at the festival. Indy Man is by no means a cheap event to attend, and I do think that the token system possibly penalises those who don’t necessarily gravitate towards stronger beers. However, on the whole it gives the customer the maximum flexibility and choice in the way in which they chose to approach the festival, and that can only be a good thing. 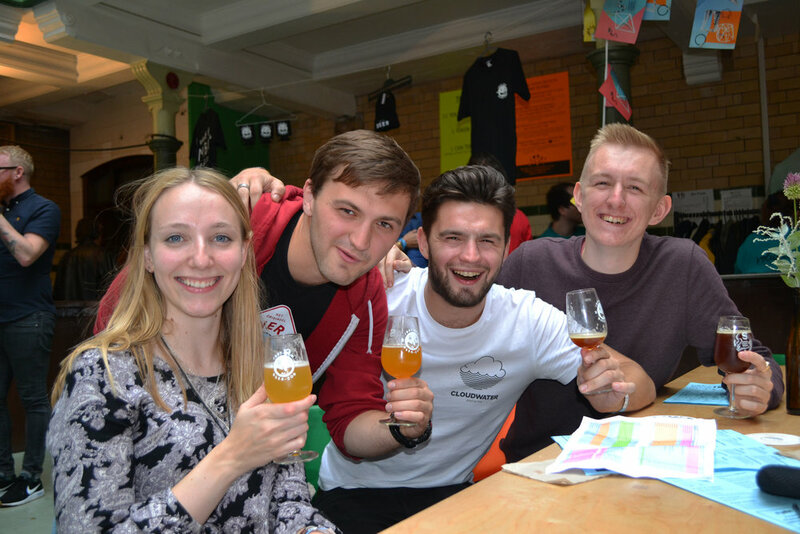 One of the nicest parts about the festival was the sense of belonging and community on show from volunteers, brewers and punters alike. Everyone I spoke to was quite happy to stop and chat about the beers they had sampled, and even without attending any of the many tutored tastings or talks I came away feeling like I had learnt something from the people I had met. The passion on display really was a testament to everyone who attended or was involved in any way. As we stumble out of the baths after the end of the session and head off in search of further (totally unrequired) refreshment in the city centre, my only regret was that I was only able to attend one of the sessions over the course of the festival. The team behind Indy Man deserve a huge amount of credit for organising and putting on an event of such a scale, and the standard of beer, being produced by some of the most talented brewers in the world, totally exceeded even my exceptionally high expectations. I can safely say that I have well and truly caught the Indy Man bug, and will be patiently waiting in line the same time again next year.